Been a little while since I posted anything on the official art website. 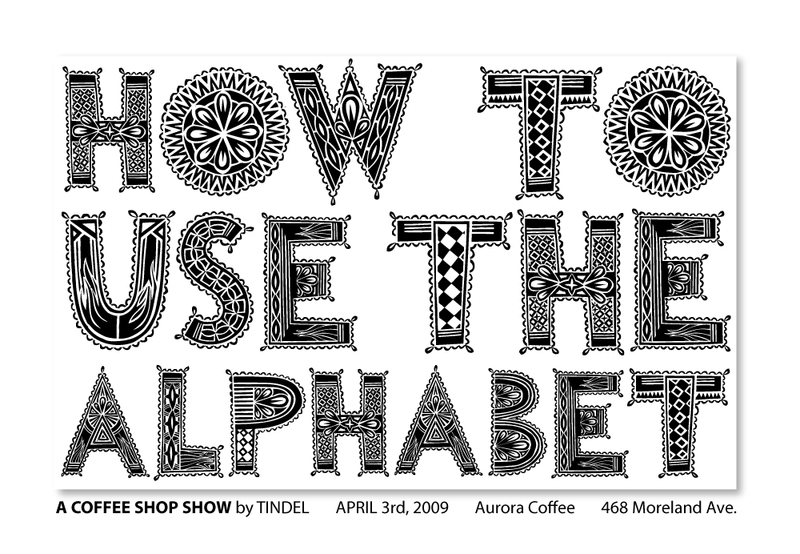 Working hard to finish a show set for April 3rd called "HOW TO USE THE ALPHABET". I will start posting some paintings soon. Also, join me on www.flickr/tindel.com and facebook.com to see art updates that you wont see anywhere else. Ohh one more thing. TINDELMICHI will be on Comcast on Demand Channel 1 March 31st. Real City - City Superstars.